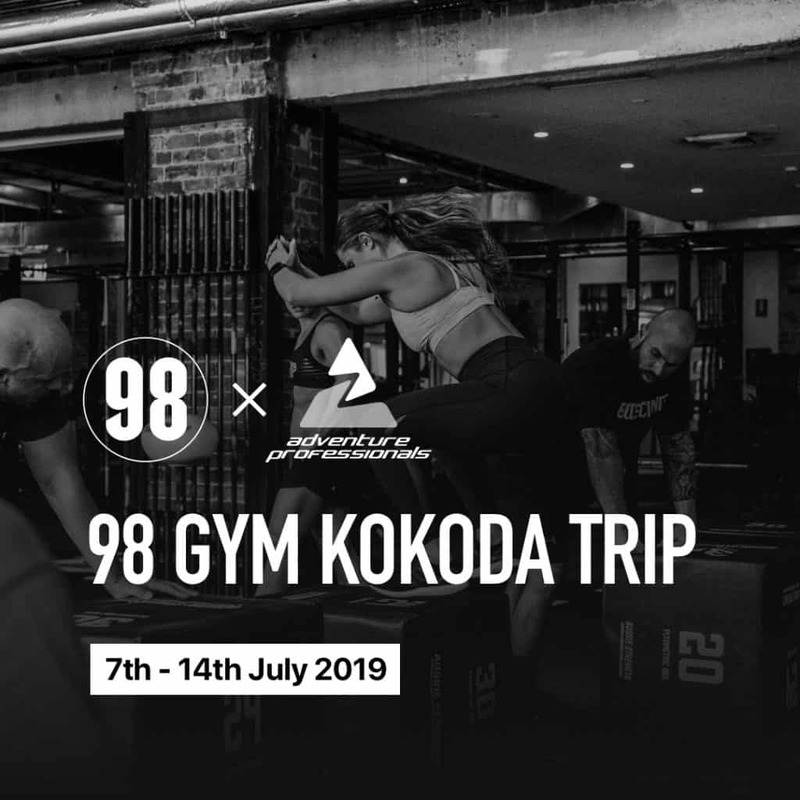 We have teamed up with Adventure Professionals to bring you the 98 Gym Kokoda Trip. Place yourself under physical stress to grow stronger physically and mentally. Test your training on one of the most iconic treks in the world. This adventure is limited to 25 people. First in best dressed. Chris Feather and Kev Toonen along with Glenn and Alyssa Azar will be running the trip. In true 98 Gym fashion we will be shaving two days off the standard trek. This is a chance to test yourself outside the gym environment. Training tweaks will be put into the 98 Gym program for those participating to make sure you’re ready for this amazing adventure. Check out this link for more information. © 2019 98 Gym Pty Ltd. All Rights Reserved. © 98 Gym Pty Ltd. All Rights Reserved.